So here are a few canvases I've done recently to share with you. Nothing totally awesome or anything, just what I've been up to! I use stencils for all my words. I'm a stencil kind of girl. Okay so if you can't tell, this one is the upcycled canvas. If you flip it over, you can still see the outline of a large seashell. Pretty sure it came out of a nautical themed bathroom from 1982. 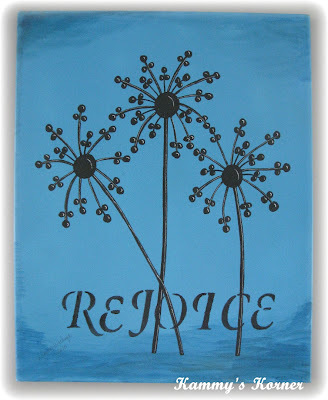 This is one of the first paintings I ever did actually, but it was so "blah" so I stenciled on the word "REJOICE". It, along with the gray and white ones, is for sale at Fabulous Darling in Brooklyn, MI. "Be Still and Know" is for sale in my Etsy shop. 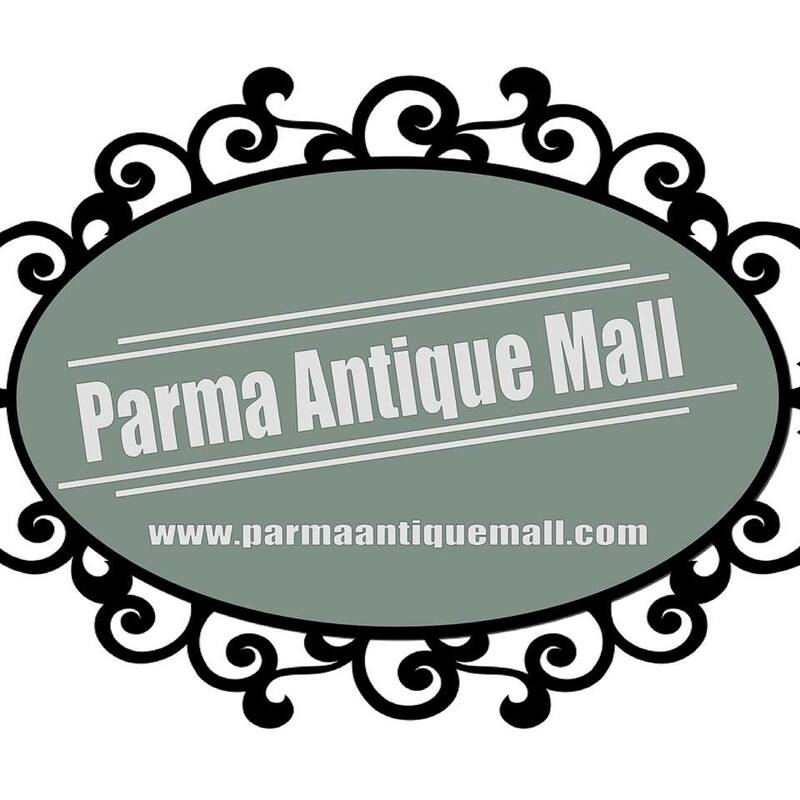 Stop in and have a look! 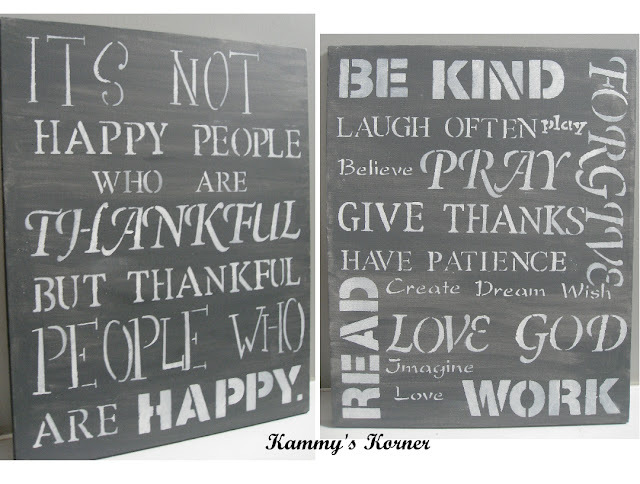 I love your stenciled projects! Great idea to get blanks as gifts, too. Got to love recycled canvases! 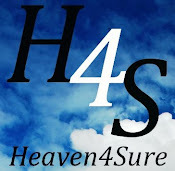 (new ones too!) Love your cute signs. Found you at Feathered Nest Friday. 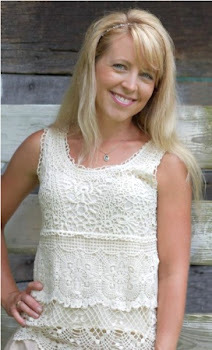 Following you now.